Most Victorian researchers will be familiar with the 3-volume set of Vision and Realisation – it’s a wonderful resource for anyone researching schools in Victoria. They were compiled by regional teachers and historians to commemorate the centenary of the Education Department of Victoria in 1973. 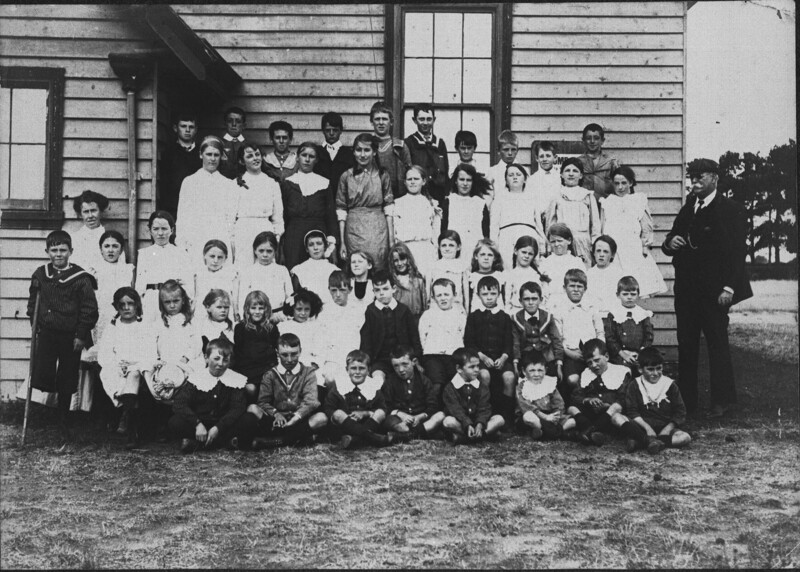 They provide a short history of every school that was a part of the Victorian Education system – some quite brief and others more comprehensive. Volume 1 is extensively indexed. Volumes 2 & 3 are indexed by school name only. Some years ago the Geelong Family History Group indexed Volume 2 which included the Barwon Region [Geelong and surrounding area] together with virtually all of western Victoria. This index included all people mentioned – a large number of these were teachers. The GFHG Index has now been added to the Geelong & District database for searching and includes 12,040 entries. NOTE: the school names have not been re-indexed as ALL schools are included in the original volumes – should you wish to research a school you need to access the Vision and Realisation volumes which are available at many societies and libraries throughout Victoria. Previous Darwin – NOT in Geelong and District!